On every Financial Manager and Financial Farmer farm, there's a dashboard available which can be access by clicking the name of the farm in the top left hand corner. 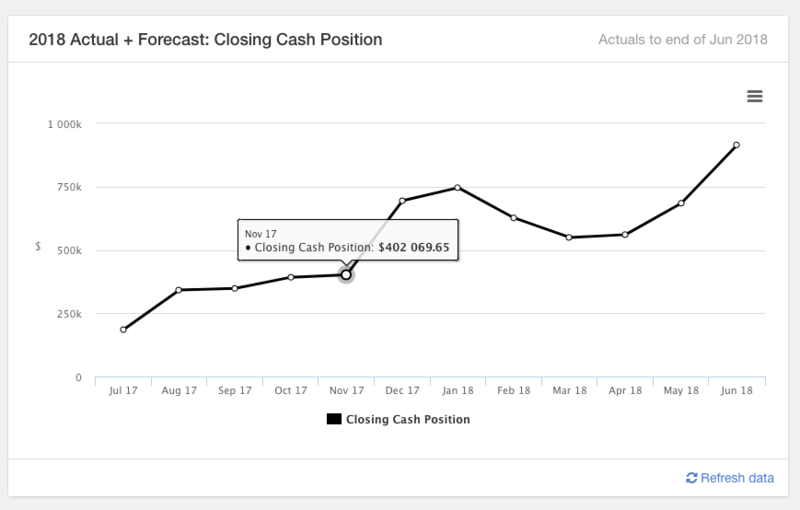 The closing cash position can be run for actuals, or actuals + forecasts by using the global settings in the centre of your screen. These numbers shown flow through from your cash flow report and display your closing cash on hand each month based on the accounts you've got setup as banks in Figured (which you can see at any time under Settings > Default bank). 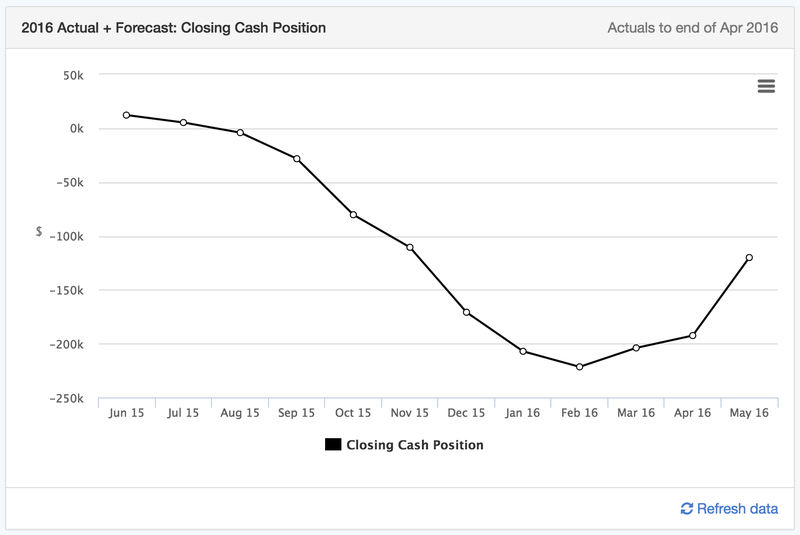 If you hover over any of the months, you’ll see the closing cash position in more detail. The variance by category can be run for actuals, or actuals + forecasts by using the global settings in the centre of your screen. It pulls through the net profit of both the budget and actual + forecast and shows the variance between the two. Its essentially a visual representation of a full year variance P&L report for A + F vs budget. 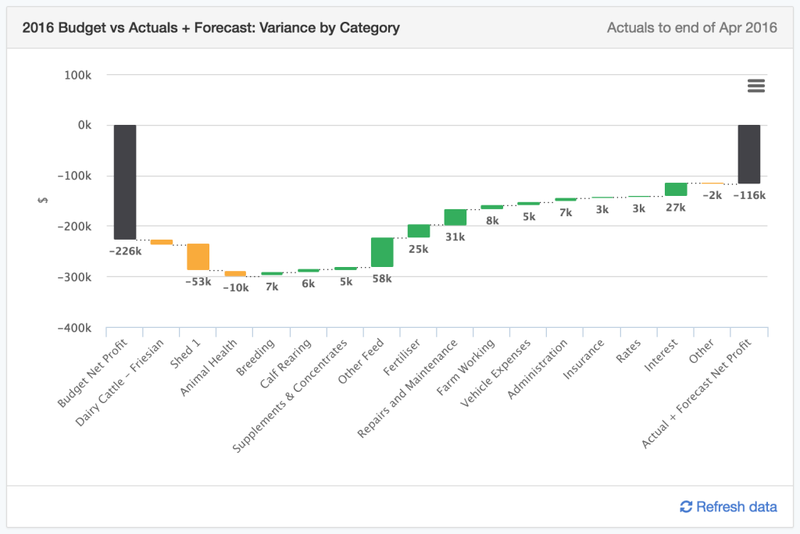 With actuals + forecasts at the start and budget at the end, each bar is the variance between these for a particular report category.